Robert Bentley’s popularity as Alabama governor was largely built around an image: He was grandfatherly, integrity-driven, a devout Christian. 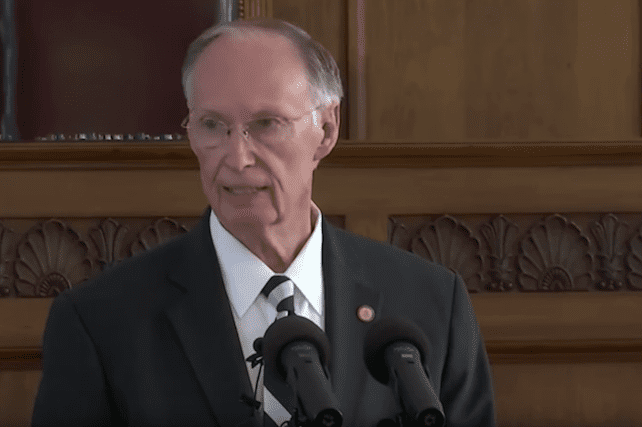 But Bentley’s divorce a year ago led to suspicions, suspicions led to allegations, and the allegations culminated Monday in Bentley resigning before being impeached. After months of denying wrongdoing, audio recordings and texts emerged of Bentley recounting sexually explicit moments between himself and his senior political advisor, Rebekah C. Mason. Bentley has been accused of using government resources to both conduct and then cover up this affair, allegedly firing a government employee who refused to lie on his behalf and threatening another. “We have reached out to Gov. Bentley, are praying for him and are willing to help him in any way possible,” FBC Prattville pastor Travis Coleman told Baptist Press. Alabama Baptist Convention President John Thweatt said moral failures among politicians are “especially devastating for us when it’s a person who claims to be a believer. There is an expectation of holiness for the child of God,” Thweatt said. The news comes as yet another blow to the state of Alabama, which has been riddled with political controversies over the past two years, including Republican House Speaker Mike Hubbard being convicted of 12 felony ethics charges. Bentley’s scandal has caused some religious conservatives to look closer at the continuing corruption being unveiled in the Alabama government. Ordained Baptist pastor and Professor Emeritus of History at Auburn University, Wayne Flint, told the New York Times there is a growing sense of unease among many church leaders about the current state of government in their state; however, he believes many Christians are still willing to overlook the moral behavior of their political leaders who line up on certain political issues. “Secular culture is eroding evangelicalism to the point where it takes us one full year to get rid of the governor because of all of these conflicting pressures,” Flint concludes.